Adobe has been used all over the world for thousands of years. Its mixes vary widely with available soils and local customs. In general, adobe bricks are made of clay, sand and organic materials such as risk husk or saw dust. One advantage of adobe is that you can make it in one place and install it somewhere else. Another is that you can shape the bricks in any form and thus create swinging organic forms. 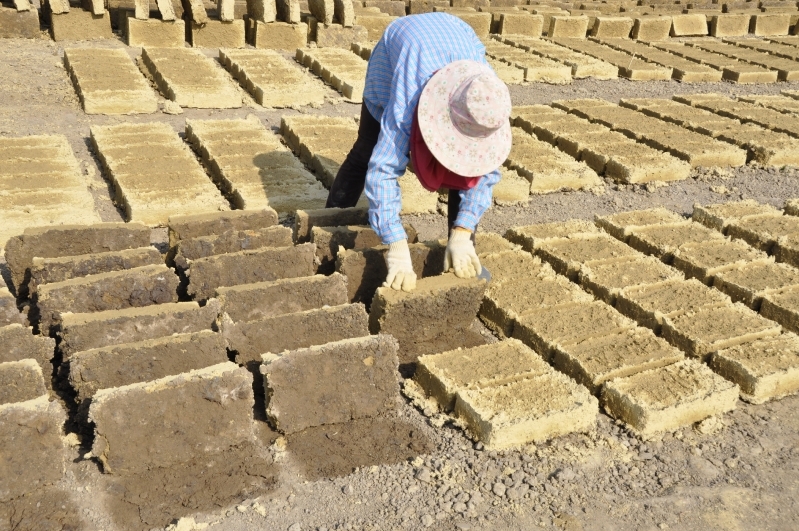 After a supply of adobe bricks has been made, wall construction can progress very quickly. 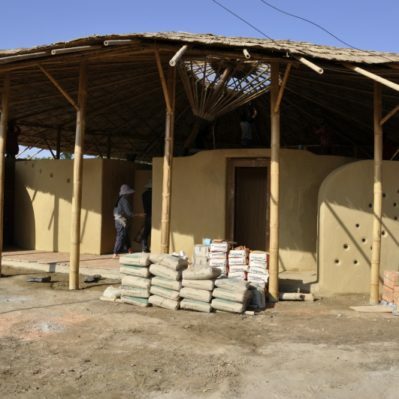 Building with adobe is much easier and faster than with rammed earth. There is no need for formwork or any expensive equipment, just mix some mud and stack them up like any other brick. 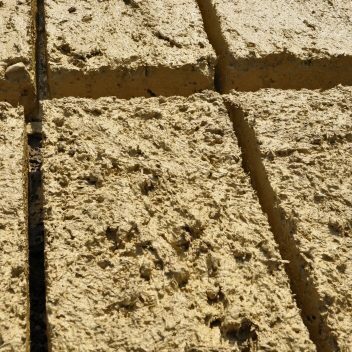 The adobe building technique allows us to be flexible with the desired wall shape but it has a lower load bearing quality than rammed earth.